SINGLE BEST dietary supplement for Keto and KetoKerri diet. BEST SOURCE OF ENERGY: for the healthy or unhealthy, for the top athlete or the worst health condition. BYPASSES GUT/DIGESTIVE PROBLEMS: developed over 50 years ago as an energy source for patients with fat malabsorption syndrome, and more recently recognized as a premium sports nutrition. EASY TO INCORPORATE: has no taste or smell and can be added to foods and beverages going undetected (perfect for picky eaters) and enhances flavor and absorption of nutrients. 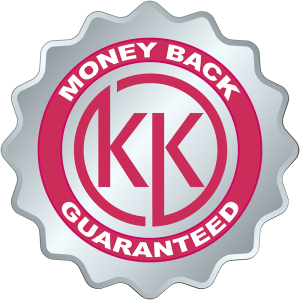 CLEAN KETONE ENERGY: instantly converts to ketones for smooth and sustained energy in the body without raising blood glucose and with a much lower insulin response than other fuels such as glucose, sugar, protein, coconut oil, other MCT oils, etc. CUT CRAVINGS: controls blood sugar spikes and reduces cravings for junk food. NATURAL ANTIBIOTIC: used in industry to kill pathogens. GET INTO KETOSIS, SKYROCKET METABOLISM & BURN FAT: more benefits than we can list here, prepare to be amazed. Diet can either help or hurt us, it can heal or kill. The choice is ours. The right diet is key to any successful health intervention and Keto is proven to be that diet in most cases. Kerri discovered pure C8 MCT oil is the single most important supplement to make following a Keto and KetoKerri diet easy, effective, and tasty. So begin adding Pure C8 MCT Oil™ to your diet today. Some people are sensitive so it is always best to start slow and work up to optimal dosing over time. Optimal dosing is an individual matter. Many tablespoons can be taken daily if there is benefit. This oil is superior nutrition for the body. Schedule a consult with Kerri if you need help.